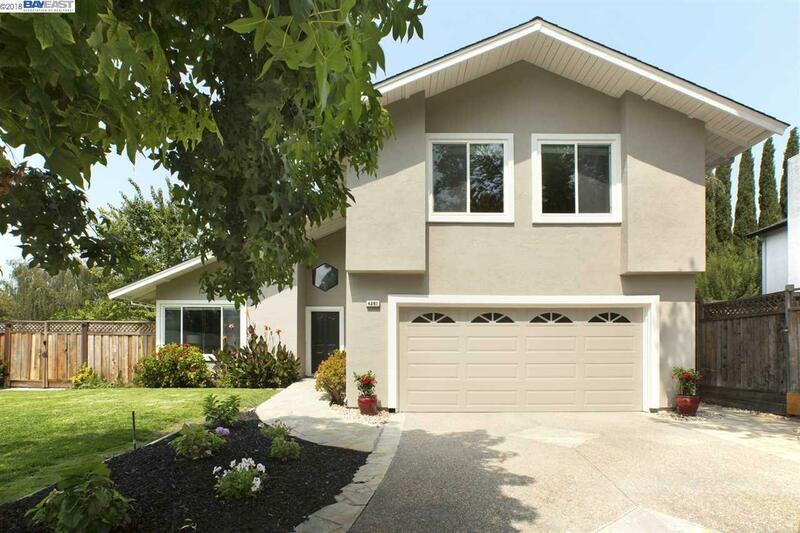 Move in before the holidays into this 4/2.5 gorgeous homein move-in condition. The many modern updates and permitted remodeled areas include new flooring, fresh interior/exterior p living areas with tall vaulted ceiling enhance the light and spacious feel of the living and dining areas. Adjoining the formal dining room, is the gleaming white kitchen featuring white cabinets, quartz counter tops, stainless steel appliances including a refrigerator, high end induction stove, hood and dishwasher. The casual dining nook is open to the family room. The flagstone patio, planted borders and trees, cluster of grapes draped across an arch, large side yard access, a garden area, all make a private, serene and inviting setting to relax and entertain. A 2-car finished garage is equipped with an abundance of white storage cabinets/ workbench. NO HOA.